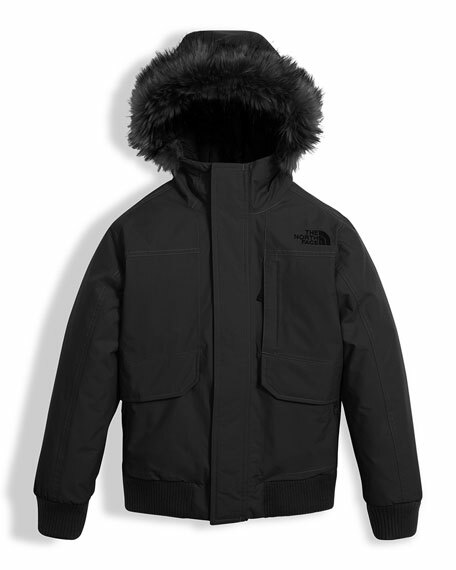 The North Face "Gotham" waterproof, breathable jacket. 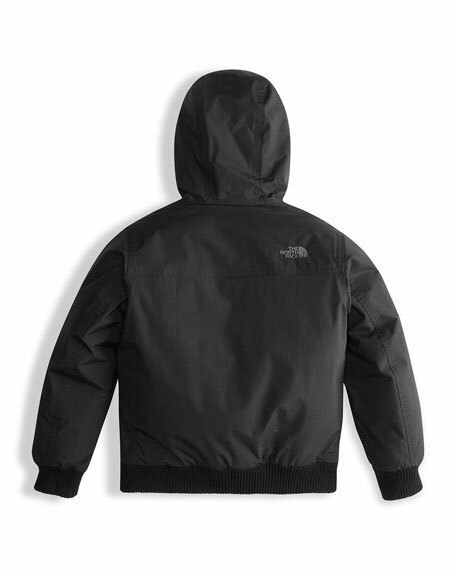 Lightweight, technical DryVent 2L shell with water- and wind-resistant finish. Hooded collar with removable faux fur (acrylic/polyester/modacrylic) trim. Long sleeves; bomber style ribbed cuffs and hem. Grip strap flap conceals front zip closure. Concealed, secure-zip pocket at chest. Interior ID badge and media loop. For in-store inquiries, use sku #2418147.